Grammy award winning rapper Kendrick Lamar has spoken publicly about police brutality and the death of Trayvon Martin in his music. So when reports began to circulate that the California native purchased the gun used to kill Martin, fans were ecstatic about the news. @funkflex right thing to do ! 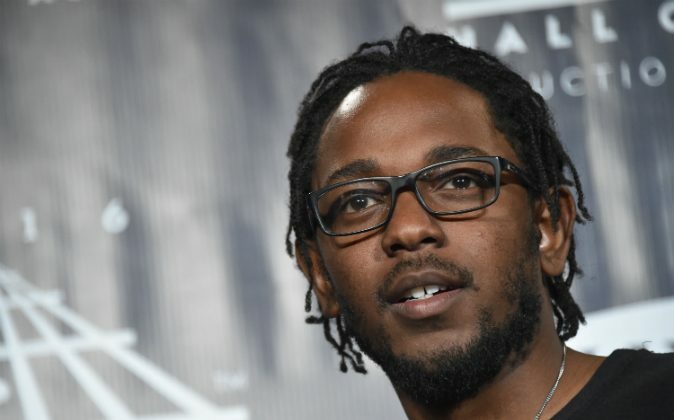 So Kendrick Lamar bought Zimmerman gun and destroyed it live onstage. Mad props. However, there was never a purchase and the story is false. Zimmerman was thrusted back into the spotlight when he revealed he would place the gun—which he referred to as a “piece of American history—he used to shoot dead teenager Trayvon Martin up for auction. The auctioned gun was listed, taken down, then re-listed and has been littered with fake bids, including a whopping $65 million. Zimmerman gunned down Martin in 2012 and was acquitted of second degree murder the following year. The death and acquittal of Zimmerman became national news, and Zimmerman has continued to appear in the headlines, including an alleged assault on a girlfriend. Lamar has yet to comment on the reports.